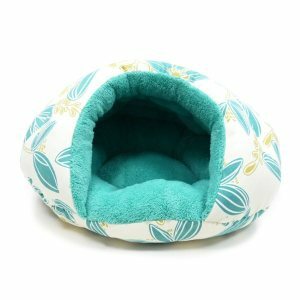 Now your pet can cuddle in the designer styled blue flowered sleeper and add a touch of style to any room. This Dogo dog bed is soft, cozy, and gives a sense of security, unlike any other beds. Perfect for small dogs or cats with a base diameter measuring 22 inches.